These Oxfords by Joseph Abboud are crafted from fine, soft suede. Leather-lined with a cushioned footbed, they are as effortlessly comfortable as they are stylishly dress casual. Featuring stylish colors and patterns, this fine pocket silk will add a refined touch to your look. *also available in your choice of many other colors/patterns. 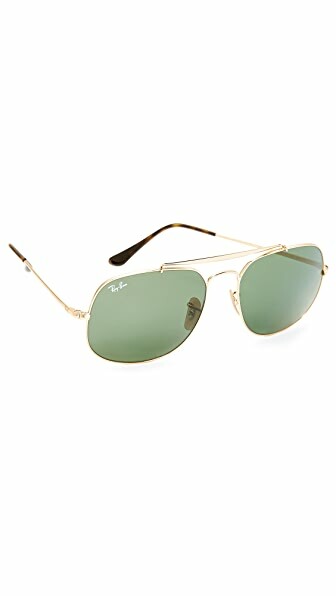 Gold-tone Ray-Ban aviator sunglasses with a bold brow bar and squared lenses. Adjustable nose pads. Acetate-tipped arms. Soft case and cleaning cloth included. Modern Salvatore Ferragamo derbies with a smooth leather upper and a classic lace-up closure. 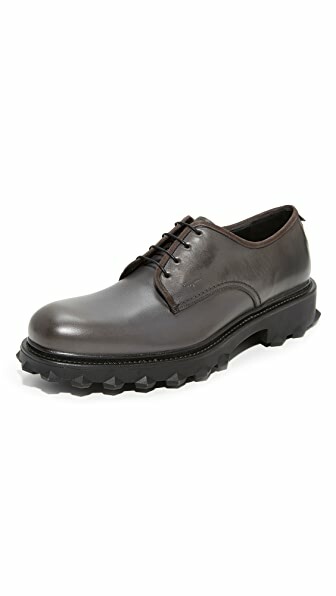 Welted to a substantial rubber split sole with lug grips. Full leather sock liner. Look neat and professional at the end of the day, without the extra effort. Our Traveler Collection dress shirts feature premium wrinkle-free performance and resists shrinking and fading. Split back yoke with center back box pleats. Non-breakable buttons. Traditional placket with a button-down collar and barrel cuff. Exact sleeve length. 100% cotton. 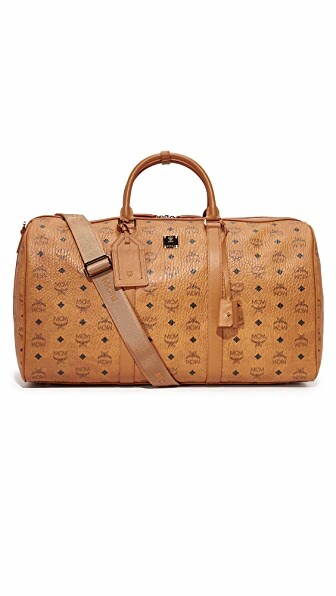 A spacious MCM duffel bag with the brand’s monogram. Two-way wraparound zip and lined, 1-pocket interior. Rolled handles and optional, adjustable shoulder strap. In fine cotton, these boxer shorts feature stylish colors and patterns and are exceptionally comfortable. Six-inch inseam. 100% cotton.